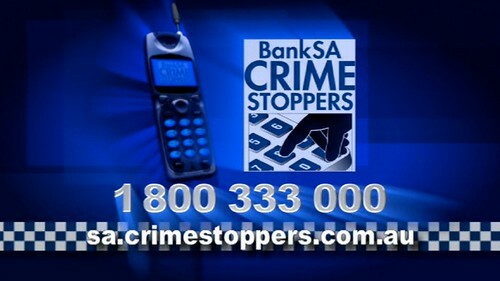 At BankSA Crime Stoppers, our advertising is as up to date as our technology! I kid, they do valuable work, but you'd think while they rearranged their advertising layout for widescreen HD television they would have updated the graphics and the pictured mobile phone handset too. Though with all that said, ironically if its an analogue phone it probably has better sound quality than our current mobile phones! Wait hold on I'm typing this in Safari on my iTelephone and its complaining about a lost data connection.